Stay Human was released on 15th April 2012 on 208 Records.. This CD is inspired by the life of the Italian reporter and peace activist Vittorio Arrigoni, who was murdered in the Gaza Strip in April 2011 by a Palestinian terrorist group. 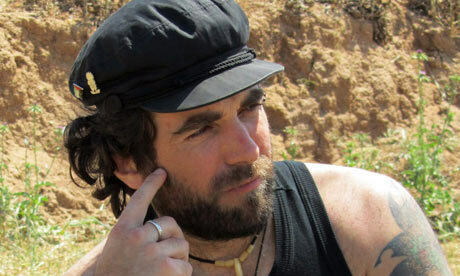 Vittorio Arrigoni was one of the few foreign journalists present in Gaza during the Israeli military offensive Operation Cast Lead, December 2008 to January 2009. He published a book, Restiamo Umani (Stay Human), a collection of his reportage from this period. Arrigoni coined the term ‘stay human’ as a call to the world not to let our humanity be diminished by allowing human rights abuses to go unchallenged. The album was funded with the support of friends and fans via the Pledge Music website. 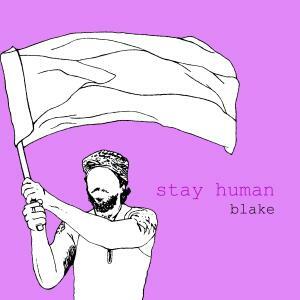 The profits from the Stay Human Campaign went to the Greenbelt Festival, where I premiered the songs from the record live in August 2011. Through this album I hope to raise awareness of Vittorio Arrigoni's life and mission; a beautiful man whose integrity and humanity has moved me deeply. I really hope you will enjoy it. Richard Kilbey: slide guitar; Chris Scrivens: drums. Don't be fooled by the night.. So their lives could be free..